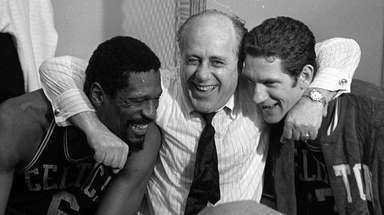 Smith, who died 10 years ago, is fondly remembered at his alma mater, for which he starred in the 1960s before having an outstanding career in the NBA. The court was dedicated to Smith 10 years ago, weeks after his death, a reminder that his surprising journey toward becoming an NBA All-Star began right in Bellport. 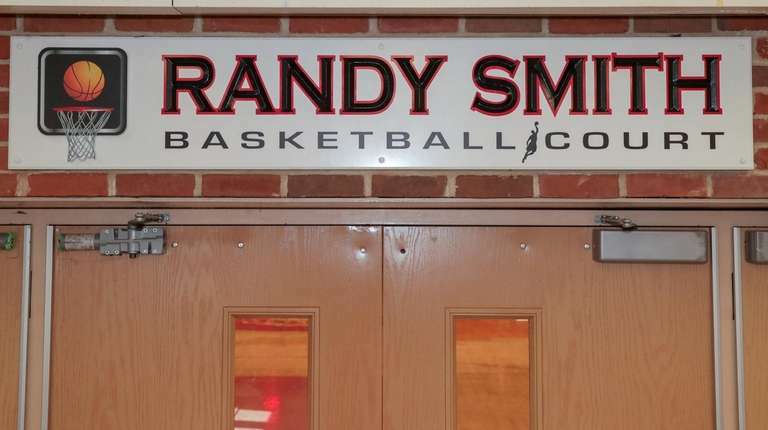 Everyone who enters the gym sees a Randy Smith sign above the front door and, once inside, notices his retired No. 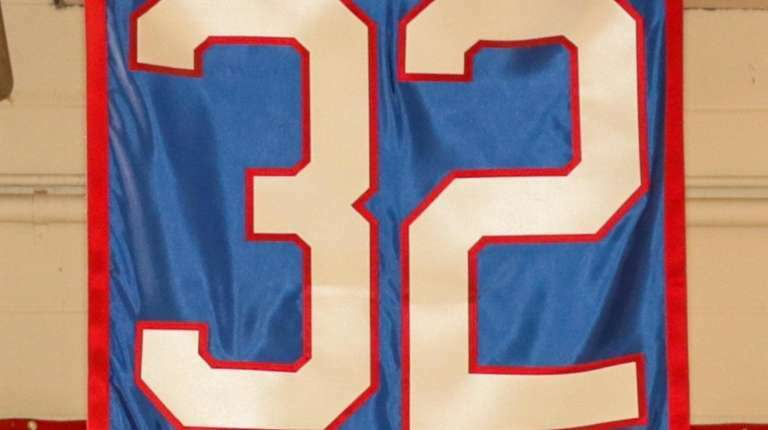 32 on a banner hanging from the ceiling above the midcourt line. That is the thing about Smith. He left behind memories just as vivid on the soccer field (that arguably was his best sport) and the high jump pit (he set a state record by clearing 6 feet, 6 ¾ inches). In a 1997 interview with Newsday, Smith said, “I liked baseball, too, but no girls were out there watching anybody play baseball.” Had he stuck with it, he might very well have made the major leagues. Beyond all of that, though, was the Randy Smith that family, friends and acquaintances knew. To them, he was more than his 12-year NBA career, including a season with the Knicks. There was an inner strength beyond his then-record streak of 906 consecutive NBA games. There was a higher rung even than being the Most Valuable Player of the 1978 NBA All-Star Game, with 27 points in 29 minutes. To those who knew him best, he was a humble, kind soul whose first post-playing job with the league was helping former players in need and who often returned to Bellport to raise spirits and hopes at his alma mater. Combine that with a world-class work ethic and you’ve got a success story, one of the best pro basketball players to come out of Long Island. Not that Smith or anyone else was thinking NBA when he was a teenager in Bellport. He was just a very solid high school player, one who was named to Newsday’s 1967 All-Long Island second team (among the players on the first team was Cold Spring Harbor’s Chip Morton, whose son, Charlie, saved Game 7 of the 2017 World Series for the Astros). Was he as good a musician as he was an athlete? “Ah, he was OK,” Bullock said with a laugh. What makes Smith’s rise so compelling was that he was not recruited by major college basketball programs. He drew Buffalo State’s interest with a record performance in the state track meet, which was held on campus. He eventually went out for soccer, which was a Division I sport there, and became an All-American. He figured he might as well try basketball, too. He not only made the squad but led it to three conference championships. As a junior in 1969-70, he averaged 26.5 points and 14.5 rebounds as the team reached the NCAA College Division Final Four. 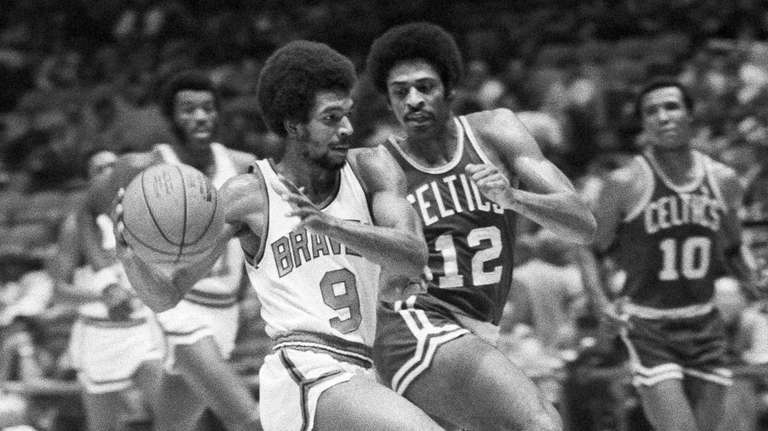 The Braves, a second-year NBA expansion team possibly looking for some good local publicity, chose him in the seventh round of the 1971 draft. 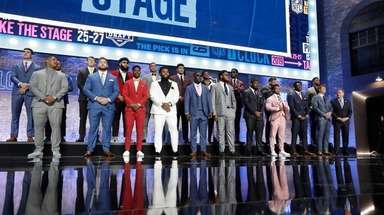 Seventh-round picks rarely made it past the early days of training camp, but Smith hit the ground running and never stopped. 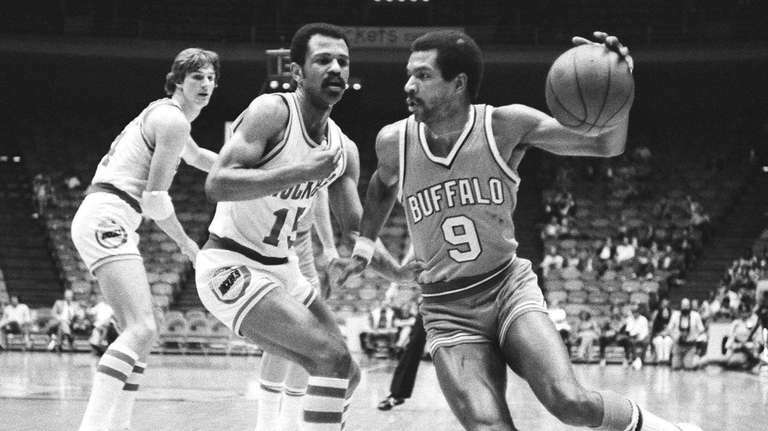 “He could dribble faster than other people could run,” said McAdoo, who joined the team in 1972. “He was the catalyst in making us the fastest team in the NBA. I remember when I got to the Lakers, they talked about Showtime, and when Phoenix had Steve Nash with Mike D’Antoni, they talked about getting downcourt in seven seconds or less. Well, if they looked, they would see that the Buffalo Braves did that long before Showtime or the Phoenix fast break existed. We were just so fast. Smith began as a defensive specialist and grew so much as a scorer that he averaged more than 20 points four years in a row. The Cavaliers and Knicks each traded a first-round pick to get him. His then-record consecutive-games streak would have gone on longer, but he had to wait 24 hours to clear waivers when he went (by his own request) from the San Diego Clippers to the contending Hawks in 1983. The league ruled that the streak was over because he had missed a game. No hard feelings. He was gracious when A.C. Green broke the mark in 1997, showing up for the game (as did baseball’s Iron Man, Cal Ripken Jr.). Smith had a history of graciousness. While he was with the Braves, he bought a house for his mother in North Carolina. A popular story in Buffalo says he once noticed two fans stranded in the cold after a game, brought them home and established friendships with both. Distance and stardom never kept him apart from Bellport. 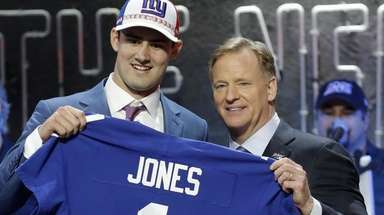 “He would come back in the summers, and whenever he was there, he was great,” said Jim McGowan, who coached Bellport in the 1980s and 1990s and whose wife was in Smith’s graduating class. “Once the kids saw him, everybody wanted to challenge him. He was playing two-on-two, three-on-three. The kids loved it. Smith’s point was that Bellport’s teenagers should aspire and know they can get somewhere. “He harped on going to class, getting an education and making something out of your life,” McGowan said. Bellport was shaken by the news in June 2009 that Smith, 60, died of a heart attack while on a treadmill at Mohegan Sun, where he was an executive host. Tears flowed. Tributes followed. To this day, his successors in Bellport Clippers uniforms look up to him as they reach down to touch the name emblazoned on their court. +Held record of 906 consecutive NBA games (1972-83), broken in 1997 by A.C. Green. + 1978 NBA All-Star Game MVP with 27 points in 29 minutes.